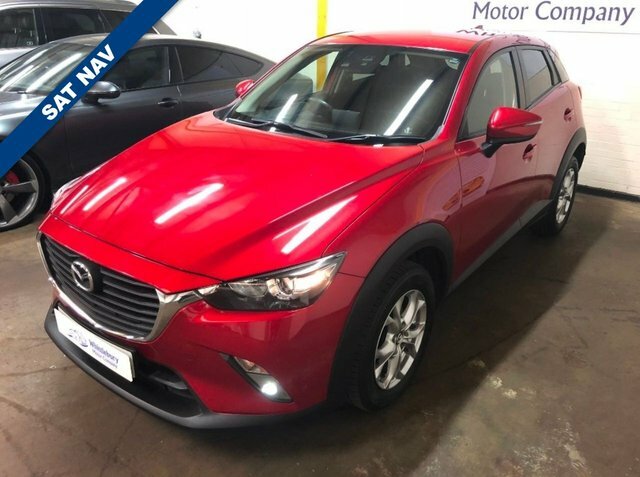 Browse the complete range of used Mazda cars for sale in Chesterfield through Whittlebury Motor Company today. We're the number one supplier of pre-owned cars in Chesterfield and whether you're looking for a sporty convertible like a used Mazda MX5 or perhaps a spacious and refined saloon such as the Mazda 6, we'll be able to help. All of the pre-owned vehicles you'll find listed here on the website have been rigorously tested to ensure they meet our strict standards, meaning you can drive away with complete peace of mind. Be sure to get in touch with a member of the team if you'd like more information on any of our cars, or if you're ready to arrange a test drive. Finance is available to UK residents aged 18 years or older, subject to status. Terms & Conditions apply. Indemnities may be required. Other finance offers may be available but cannot be used in conjunction with this offer. We work with a number of carefully selected credit providers who may be able to offer you finance for your purchase, commission may be received. We are only able to offer finance products from these providers. Postal Address: Whittlebury Motor Company, Unit 1A, Hartington Ind Est, Deepdale Close, Chesterfield, Derbyshire S43 3YF. Find contact details here. Whittlebury Motor Company is authorised and regulated by the Financial Conduct Authority, FRN: 751073. All finance is subject to status and income. Written Quotation on request. We act as a credit broker not a lender. We work with a number of carefully selected credit providers who may be able to offer you finance for your purchase. We are only able to offer finance products from these providers.